A distinctive brand gives an author a major advantage in marketing their books. It defines what they stand for. It helps them refine and cultivate a unique voice. Not every writer appreciates being ‘put in a box’ so to speak, as if they are a product on a shelf. But books are products on shelves, and readers are consumers. In this week’s blog, fellow Penguin author Kathryn Ledson and I share our thoughts on the concept of branding. I’ll start the ball rolling. Author branding is all about promising a certain kind of reading experience. ‘Brand’ means having a recognisable, consistent voice and approach from book to book, so your fans know what to expect. It doesn’t mean you have to write the same thing over and over. Take the master of suspense, Alfred Hitchcock, for example. His movies range from courtroom dramas like The Paradine Case to historicals like Under Capricorn, set in nineteenth-century Australia. But no matter what the subject matter, you always know you’ll get a taut, psychological thriller. Woody Allen movies are funny, quirky and character-driven, while nobody portrays alienated men living on the edge like Martin Scorsese. I was lucky. My author brand just fell in my lap. I write Australian rural fiction with powerful environmental themes. Nobody else does that (I have no idea why!) and it became my immediate point of difference. The books I write celebrate a love affair with the wild, and it gives my publisher a clear idea of how to market my work. Kathryn also has a very distinctive style and voice. She writes fast-paced and funny romantic adventures. ‘Fans of Stephanie Plum rejoice. There’s a new undercover angel in town,’ said a review in Marie Clare. Bam, there’s her brand right there. Identifying your particular brand isn’t always that easy. You have to figure out the goal of your writing, define your purpose and identify your audience. A consistent, core message should start to emerge. Everyone wants to appeal to a wide audience, but I think it helps to have a specific focus, especially in the beginning. On your blog, on social media, in the way you talk about your work. For me of course it’s the environment. Last week I blogged about Melbourne’s Environmental Film Festival, and tweeted about the repeal of the Wild Rivers legislation. Zeroing in on your own passions and interests helps define you in the mind of your audience. What many aspiring authors don’t understand is that the “public-speaking stuff” and your business go with the turf. It’s part of your brand. Who you, the author, are plays an intrinsic role in the branding game and, yes, if you want to really connect with your readers, it can be personal. Branding of course is all about marketing and promotion. It’s about finding that unique thing that sets you firmly apart from the crowd and puts you under a spotlight so that, ultimately, it’s your book a reader will pick up, thinking, ‘I’ve heard about this author. She’s the one who (insert unique thing).’ Your brand is like a fingerprint. If you nail it (pun intended), your brand will be so individual that you can honestly claim no-one does what you do. There are two very important reasons to have a brand. First, to get publishers to notice you. And then to get readers to notice you. Getting readers to notice you can happen via publicity, and your brand is the thing that attracts the media. Every month in Australia, dozens of authors make their debut. In that case, why would any newspaper be interested in you? What’s so special about you? You’re a product. Yes, you are. So, market yourself. Find your brand. Your unique thing. It’s not necessarily that easy to find your brand and, as Jen points out, she and I are lucky because, although we’re writing for popular genres, neither of us had to work very hard to find our points of difference. Jen writes environmental or eco-romance (isn’t that fabulous?). I write funny, romantic adventure novels. However, that’s not special or unique. Other people write books like that. I write “like Janet Evanovich”, but even that’s not unique because it’s like Janet Evanovich. I think my brand is (currently) my series character, Erica Jewell. Like Evanovich has Stephanie Plum, Helen Fielding has Bridget Jones, Lee Child has Jack Reacher, my Erica is the stand-out thing that sets my work apart. One day, when Erica and her man are finally tucked into boring happily-ever-after, and I write another book or series, then I’ll have to re-brand myself. I think it will always be “funny, romantic adventure novels”, but still that’s a bit dull. Perhaps I can find a new name for that genre: Laugh-Out-Loud Romantic Adventure? LOL Rom-ad? I’m sure you’ll come up with something wonderful Kath! What do readers think? What are your thoughts on the pros and cons of author branding? 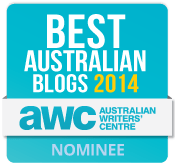 This entry was posted in Books, Writing and tagged Australian Environmental Fiction, Author Branding, Book Marketing, Eco-Fiction, Erica Jewell, Finding Your Voice, Genre Writing, Kathryn Ledson, Popular Genres, Writers Resources, Writing Goals by jenniferscoullar. Bookmark the permalink. I think branding is equally important for everybody. It’s only the big names that get a big marketing push from traditional publishers. Mid-listers are largely responsible for their own publicity. How do you brand yourself?